Just in time for Christmas. Are you looking for a great present to give someone but just don't know what to get them? A picture tells a story. It saves a memory. Why not give a canvas to someone you love. Or win one. This is one is going fast so hurry and enter. Learn more about the details of the prize. The winner will be chosen on December 5, 2009 at midnight. Please leave your contact email information in the comment. Winners will have 24 hours to claim their prize. Thank you and good luck. As past of me providing this great giveaway, I will be receiving an appreciation canvas too!! “Sometimes you need the culinary equivalent of a big warm hug. Praline Sweet Potato Casserole is a classic, comfort food creation that is baked to perfection." Independentmami will now be doing Magic. Let me tell how I found and discovered, I could do magic. Going back, magic comes from a long line of great mothers, housekeepers, and caretakers in my family passed down from generation to generation. I think all men, or maybe just my men, think that the house is a magic kingdom for them. I have sprinkled my picksy dust on it, and things just happen by magic. My featured magic tricks today will be doing the dishes and doing the laundry. I have not mastered my talents, and am no expert. No precious animals were hurt in any of these tricks. Warning this video may not be suitable for all eyes to see. It was 5 am in the morning, and we know how we look and feel at that time. Again magic happens at all hours of the day, especially when my guys are sleeping. When my sleeping beauties awake in the morning, their clothes is hanging in their closets, ready for them. The dishes are back in the cupboard ready for them to be used. These are not all the magic tricks I can do, I have more up my sleeve. Thank you to everyone who voted for me. I really appreciate the support I have out in the blogging world. 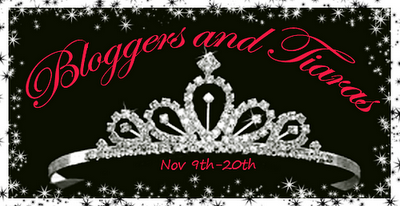 For those that are just tuning in I entered a contest, Bloggers & Tiaras over at MomDot. This is the 3rd entry into the competition. I hope you get a kick out of the things i do during this time. Thank you for stopping by. Microsoft and HP collaborated to create best-in-class touch technology that melds the power of Windows 7 with HP’s revolutionary TouchSmart PCs. 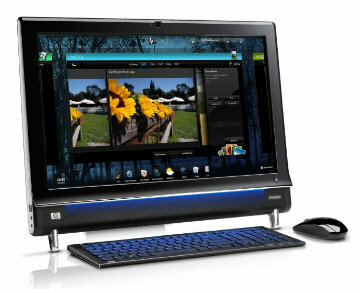 The HP TouchSmart 600 showcases this technology within its sleek design, HD widescreen, BluRay, adjustable webcam and more. It offers limitless potential for enhancing life at home. Starting on Nov 23, Jolly Mom will be doing a give away where you could win this. She is one of 9 blogs. I want to WIN! You can make a difference is our future by adopting today. There are many children just waiting to be adopted. If you know someone looking for information on being a foster parent or adopting, please encourage them to visit AdoptUsKids.org. This campaign is brought to you by Global Influence, the former Momfluence network. I know from experience how a grandparent can play an important role in kids lives. My mom has helped me raise my son. I became a single parent when my son was 6 months old. And my mom was there for me. And now that I am on my own and no longer under her roof, she is still there like she was before for support. I know many people in this situation for many reasons know to them that this has happened to. I love PBS. 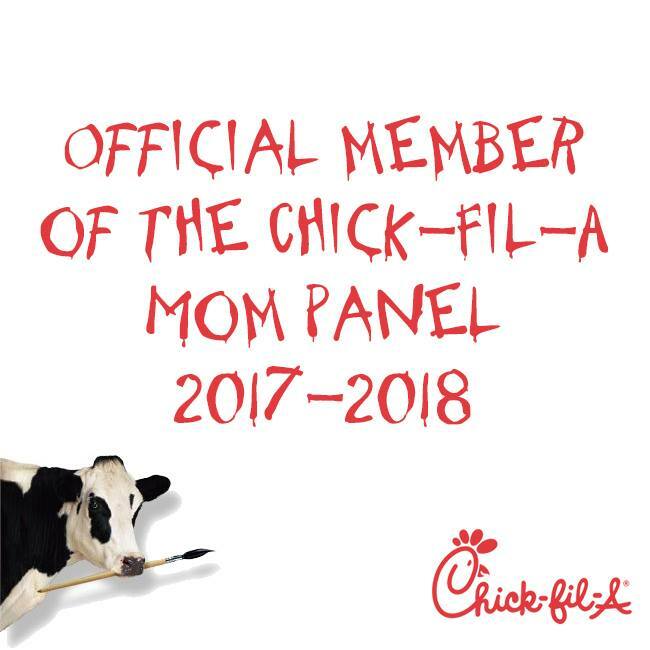 They are so full of information for our kids and us as parents. It is not just about entertainment, and they understand that. "A Place of Our Own" is the English-language ("Week in Review") companion to the Spanish-language ("Recuento Seminal") series "Los Niños en su Casa." Both series are designed for parents and anyone else who takes care of young children: grandparents, nannies, babysitters and home daycare providers. The series covers subjects such as tantrums, literacy, preventing obesity, as well as speech and language delays. These Peabody Award-winning programs combine an entertainment format. The daytime talk/demonstration show features solid educational information on how young children learn, and what adults need to know to help them be prepared for kindergarten and beyond. This show will be airing today. Check you local listing for times. And if you are looking to see it in Spanish it will be coming out on Thursday, Nov 19. Las series premiadas de PBS, A Place of Our Own y Los Niños En Su Casa, presentarán un programa titulado “Grandparents Raising Kids” (Abuelos que Crían a sus Nietos) el lunes 16 de noviembre y el jueves 19 de noviembre. El programa muestra cómo los abuelos pueden manejar esta situación, que suele ser abrumadora, y ofrece ideas para ayudar a los abuelos a brindar un futuro prometedor para su familia. A Place of Our Own y Los Niños en Su Casa son series informativas en inglés y español que se transmiten por televisión todos los días, y están dirigidas a padres, abuelos y proveedores de cuidado de niños pequeños. Este episodio aborda el tema de la responsabilidad de criar nietos que los abuelos deben asumir en forma permanente, muchas veces de una manera inesperada, y trata sobre cómo ellos pueden obtener la ayuda que necesitan para su bienestar mental, físico y emocional. “A veces se producen circunstancias muy duras en las familias que pueden cambiar para siempre el rol de los abuelos, pasando a ser guardianes permanentes de sus nietos. En todo el país, más de seis millones de niños menores de 18 años viven con sus abuelos”, comentó Joyce Campbell, Productora Ejecutiva de KCET-TV, Los Angeles. “Si bien la situación a veces puede resultar abrumadora, estos abuelos no deberían sentirse solos en esta experiencia tan desafiante para ellos”, agregó Campbell. El programa titulado “Grandparents Raising Kids” (Abuelos que crían a sus nietos) se transmitirá a través de las estaciones PBS de todo el país los días 16 de noviembre (A Place of Our Own) y 19 de noviembre (Los Niños en Su Casa). Consulte la guía de programación local. La información sobre los programas está disponible en www.aplaceofourown.org y www.losninosensucasa.org, e incluye videos, vínculos a recursos y tableros de mensajes. I have always wanted to go to Disney World. In my earlier post, we just went to Disney on Ice here in Houston. I love Disney and their characters. Growing up these were the great characters in my life, and now my son's life. We are planning our family vacation and i think we found our destination. I was contacted with this great offer and I wanted to share it with you. Travel to Disney World from November 1-December 24 or January 3-March 27 and get free nights at your Disney Resort. Stay at a Disney Value Resort for 5 nights and get 2 nights for free and 2 days of tickets for free. Stay at a Disney Moderate Resort or Disney Deluxe Resort for 4 nights and get 3 nights free and 3 days of tickets for free. Now to the giveaway, Win a set of 4 Disney Parks Lithographs Featuring Tinker Bell and Mickey Mouse with a value at over $75. And if you want one of them can be autographed by Mickey Mouse himself. This will be a perfect Christmas present for your kids or a Disney lover. SOrry for the confusion to those who have already entered. Voting was closed and therefore I made changes. Please feel free to entered these entries as well. This giveaway ends on November 29, 2009 at midnight. Please leave your contact information in your comment. (1 winner) Thank you and Good Luck!! We attended opening nite of Disney of Ice Celebrates 100 Years of Magic. Let me tell you how magical it was. The characters we grew up seeing on tv were there before our eyes. It was great to see all the characters we love from from all the Disney stories. The kids didn't want to miss any part of this magical show. Everything was ooohhh and aaahhhhh. It was such a beautiful presentation. The costumes were great. Our kids loved the show and did not want it to end. My son's favorite part of the show was The Incredibles. The girls said their favorite part was when the princesses all came out from Pocahontas to Cinderella. My favorite part was Lion King. I love Lion King. My bestfriend's favorite part was Toy Story. Now you and your family can come experience Disney On Ice celebrates 100 Years of Magic at Reliant Stadium. **Get 4 tickets for $44 Monday‐Friday matinee, or $4 off weekend tickets by entering the code “MOM” in the promotion code box on ticketmaster. Minimum purchase of 4 tickets required, additional tickets above 4 can be purchased at $11 each. Offer not valid on Rinkside or VIP or VIP Dining seating. Cannot be combined with other offers. Service charges and handling fees will apply. 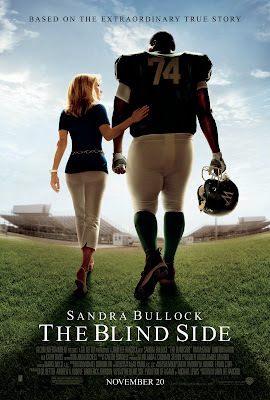 THE BLIND SIDE will be hitting movie theaters on Friday, November 20, 2009. It is a Drama. It is rated PG-13. So perfect for you and the family to hit the movies to watch. We will be watching this movie and we can't wait for it to come out. We love football. This movie is an inspirational movie. I love these kind of movies, especially with this being a true story. Watch the Blind Side trailer. Here is more information about the movie. A homeless African-American youngster from a broken home, Oher (Quinton Aaron) is taken in by the Touhys, a well-to-do white family who help him fulfill his potential on and off the football field. At the same time, Oher’s presence in the Touhys’ lives leads them to some insightful self-discoveries of their own. Living in his new environment, the teen faces a completely different set of challenges to overcome. As a football player and student, Oher works hard and, with the help of his coaches and adopted family, becomes an All-American offensive left tackle. “The Blind Side” is directed by John Lee Hancock (“The Rookie”), who also wrote the screenplay based on the book The Blind Side: Evolution of a Game, by Michael Lewis. Gil Netter, Broderick Johnson and Andrew Kosove are producing the film with Molly Smith, Erwin Stoff and Tim Bourne serving as executive producers. Sandra Bullock and Tim McGraw star as Leigh Anne and Sean Touhy, and Kathy Bates stars as one of Michael Oher’s dedicated tutors, Miss Sue. Quinton Aaron is introduced in the central role of Michael Oher. The film also stars newcomer Lily Collins and Jae Head (“Hancock”) as the Touhys’ children, Collins and S.J., respectively. The behind-the-scenes creative team is led by director of photography Alar Kivilo (“Year One,” “The Lake House”), two-time Oscar®-nominated production designer Michael Corenblith (“Apollo 13,” “How the Grinch Stole Christmas,” “Frost/Nixon”), editor Mark Livolsi (“Marley & Me,” “The Devil Wears Prada”) and costume designer Daniel Orlandi (“Angels & Demons,” “Frost/Nixon”). 1) Go to Mom Dot and vote for me, Alba (Independentmami). Come back and leave me a comment once you have voted with your voting number. This giveaway ends on November 18, 2009 at midnight. Please leave your contact information in your comment. (2 winners) Thank you and Good Luck!! 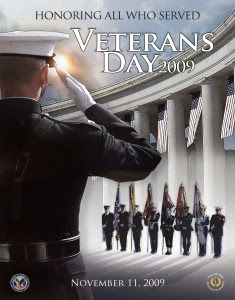 Thank you to all those who have served, and those that are serving. We appreciate everything you do. We have rights and freedoms because you stand at the line protecting it. To the land of the free, and the home of the brave, today we salute you great men and women. As in the previous post, I have entered a beauty pageant for mommy bloggers over at Mom Dot. Not sure why I entered but it seemed like fun. I would like your support. Voting has started and ends on Nov 29, 2009. Two years ago I had to go to a funeral of a mother leaving behind 3 kids and a husband. She got hit by a drunk teenage driver on her way home from buying milk for her baby. All I remember is her kids asking their mom to wake up. "Mommy wake Up" We as parents need to be responsible enough to talk to our kids. There are so many resources out there for us to use. My son is only 10 going on 11 soon. 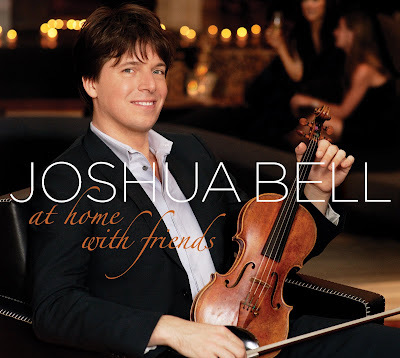 I think about his friends and his influences. All the peer pressure I faced. We went out this weekend. And we saw first hand so many underage kids drinking. All along I wonder if their parents talk to them. My mom told us no drinking was allowed. We are Christian we are not suppose to drink. blah, blah, blah, is all I and my brothers heard. But as I walk out and saw all those kids thinking that holding a cup and drinking it made them look cool. I wondered what am I going to tell my son. How am I going to handle this situation? I was glad that there is information for us. Have you heard of MADD? 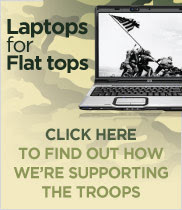 Take a look and learn more. Let's be educated, so we can educate our kids. Mothers Against Drunk Driving has a lot of parents. MADD is committed to helping parents, especially those with high schoolers, to navigate talking to teens about alcohol. This blog is dedicated to the passionate MADD staff and volunteers that have a lot to say about the Power of Parents (It's Your Influence) by MADD. So awesome. I'd love to use them to create our wedding programs. On this day I watched my bestfriend marry the love of her life. Robert and Evelyn have been through so much but now I know how love really affects me and you. Have you ever thought about your vows you took that day, or are going to take? In the name of God, I, (Name), take you, (Name), to be my (husband/wife/spouse), to have and to hold from this day forward, for better or worse, for richer or poorer, in sickness and in health, to love and to cherish, until we are parted by death. This is my solemn vow. 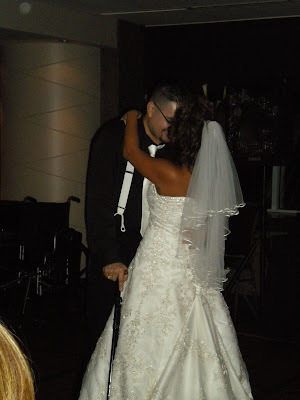 My bestfriend walked down the aisle with her fiancee by her side walking with a cane. While we all held our breaths, hoping he wouldn't fall. She alone was there to support him all the way down that long aisle. Just as in life, she will be his partner for life. He sucked up all the pain he was feeling, used all his strength, and was strong for her. As the years to come, when all seems to go wrong. Robert and Evelyn said these vows to each other. And everyone knew that their love is so true. At the reception he danced away the night with his bride. 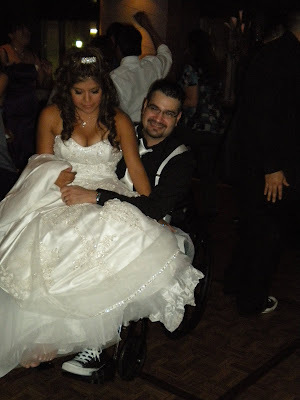 Whether on the dance floor with his cane, or on his wheel chair, the night was theirs. I wish them the best for their future together. Throw away all the kids Trick or Treat candy. Yes, you heard right. Ok, maybe not throw it away let's all donate it to charities, or churches for the under privileged. Our kids are not getting the nutrition they need. They fill up with empty carbs and calories like candy. Now that we have gotten rid of all that junk (candy) let's introduce our kids to something good to replace it with. Have you ever heard of Tiger's Milk? 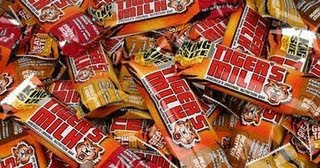 Tiger’s Milk bars are an excellent alternative to candy bars and other sweeter snacks. They taste great, and are an excellent source of protein and nutrition. Schiff Nutrition, the maker of Tiger's Milk bars, has been one of the most trusted and respected companies in the nutritional supplement industry for more than 70 years. Schiff® makes sure that each bar is loaded with 16 vitamins and minerals and contains up to 10 grams of protein - with zero grams of trans fat. Do your kids ever get the peanut butter and want to eat it with a spoon? Growing up in a house full of boys, they did, and so does my son. He loves peanut butter. Tiger's Milk bars were perfect for my family because now they don't have to take the full bottle. They now have a grab and go snack bar. They are perfect for all the field trips my son is going on this year. He recently went on two different field trips. He said all the kids were asking him what his snack bar tasted like. He told them it was like peanut butter on a spoon. I have always known that kids watch what the others eat. I now know that my son is sharing a good eating habit with him fellow classmates. These bars retail price is $1.00. YOu can't beat that. *Disclosure-My family received samples for this review. These are our honest opinions about this product. Others may not have the same opinion. But if you are peanut butter or chocolate lover, you will love them. Plus they are nutricious!! Diabetes is a leading cause of vision loss among Americans, and committing to getting a diabetic eye exam annually is an important step in preserving your sight. Ninety percent of severe vision loss from diabetes can be avoided by visiting your ophthalmologist annually and by controlling your diabetes. More than 24 million people in the United States have diabetes and less than half are not getting a recommended dilated eye exam. Among the Hispanic/Latino America population, 2.5 million (9.5%) have diabetes. Furthermore, nearly half of all adult Hispanic/Latino individuals in the United States with diabetes have some type of diabetic retinopathy. 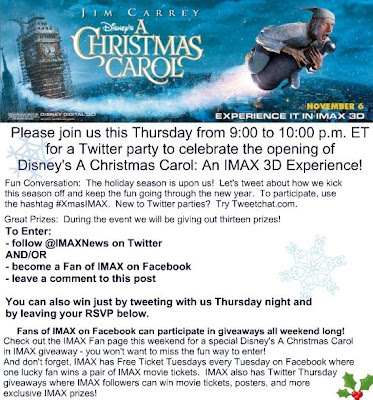 To enter, please become a Fan of IMAX on Facebook and then comment on this post. Please leave name, and email address where to be contacted. 2) Have you ever entered a pageant before? I ran for Homecoming Queen in high school and lost. 3) Do you have any special talents we can look forward too? I was a dancer in high school. So my talent you would be dance. 4) Name your top 5 favorite sites to visit on the net..no, you do not get brownie points for putting momdot. I am always on Yahoo, facebook, myspace, twitter, and biggest loser. 5) What is your favorite thing to do when you are not blogging? I love to watch movies, watch biggest loser, and spend time with my boys. 6) Whats your dream vacation? My dream vacation involves a beach, maybe Hawaii, Greece, or Cancun. 7) What blogger do you look up the most too? 8 ) If you could be on the cover of any magazine, which would you chose and why? 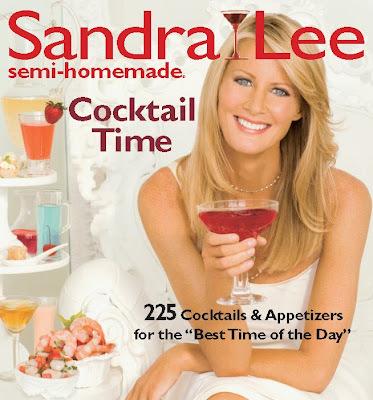 I like Ladies Home Journal. Don't tell my fiancee but he reads LHJ. He has been reading it for years., and so have I. 9) Tell the truth…you want a tiara, don’t you? I would love a tiara. I was very sad when I lost Homecoming Queen in high school. 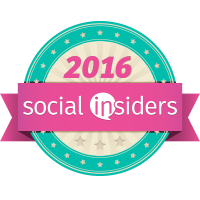 10) What is your definition of blogger success? Blogger success to me is when your readers are able to use all the resourceful knowledge you provide to them.